Jessa’s Story – "I KNOW TORONTO!" We were looking for a home in a price range that is becoming more and more obsolete – $400,000-$500,000. We didn’t need a large home, but we needed one with a guest room or basement and hardwood floors throughout due to my allergies. We also didn’t need a completely updated home, but I wanted one that was livable as we are relocating from Vancouver and have a 2 year old son. I was not up for any large scale projects since we have enough on our plates! That said, our home is everything I wanted! Everything! There are still things to be done but it has wood floors, 3 bedrooms and a basement we can convert. A huge backyard which exceeded our expectations. An updated kitchen and bathroom with space for more renos in the future. It’s an old Victorian as well which for me is pretty much the biggest cherry you could put on the cake! 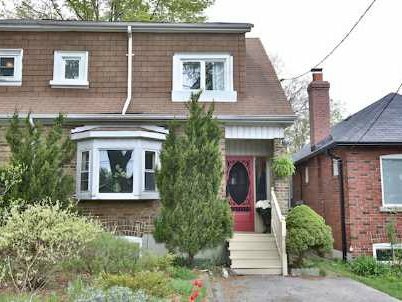 Our area was fairly specific in that we wanted to be near the Danforth/Beaches and our place is on a lovely street in the upper beaches. We are thrilled! Equally important was the fact Shawn was amazing to work with. I contacted him days before coming out and I knew whoever was going to take us on needed to have a lot of time and dedication since we only had one weekend to find a house. He wrote back immediately that he would take care of everything, which for someone who was exhausted, stressed, and living in a whirlwind was the best thing you could have said to me. Literally the best thing you could say to me. Since it was just me flying out, I was nervous but I had so much fun with him! We saw 15 houses but it didn’t feel like work. He is charming, charismatic, and hilarious. I had a blast! He made what could have been a much more stressful time, fun. One of the things he said to me a few minutes after meeting was that if I walked in a house and knew it wasn’t the one to just say so. No need to spend time there if it wasn’t right. I loved that. It saved us some time and it made me feel I didn’t have to worry about being talked into something I didn’t like. It felt empowering and at a time I felt very insecure being in a new city and making such a big decision. I feel very fortunate to have had such an amazing agent. I would recommend him to everyone I know. It was a wonderful experience!